In Mexico City, I picked out an evening tour that included Luche Libre. 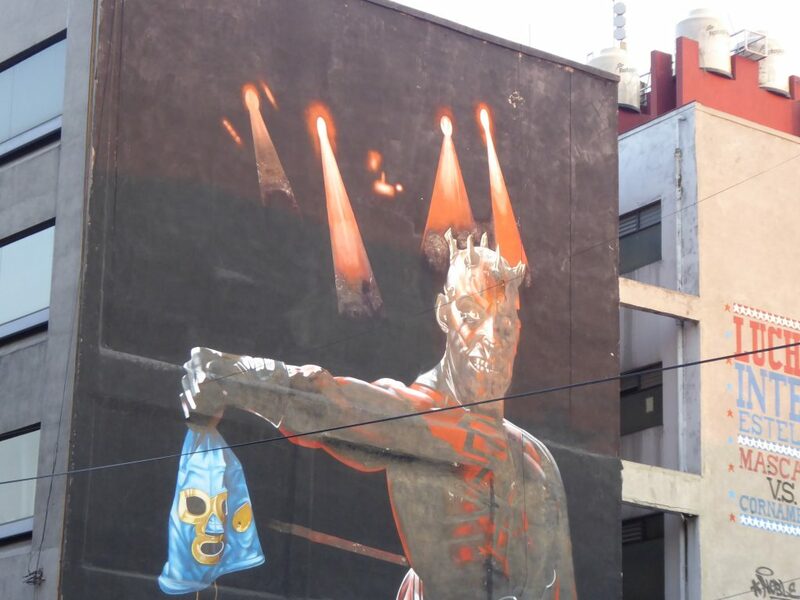 The guide described it as Olympics wrestling with chili sauce. 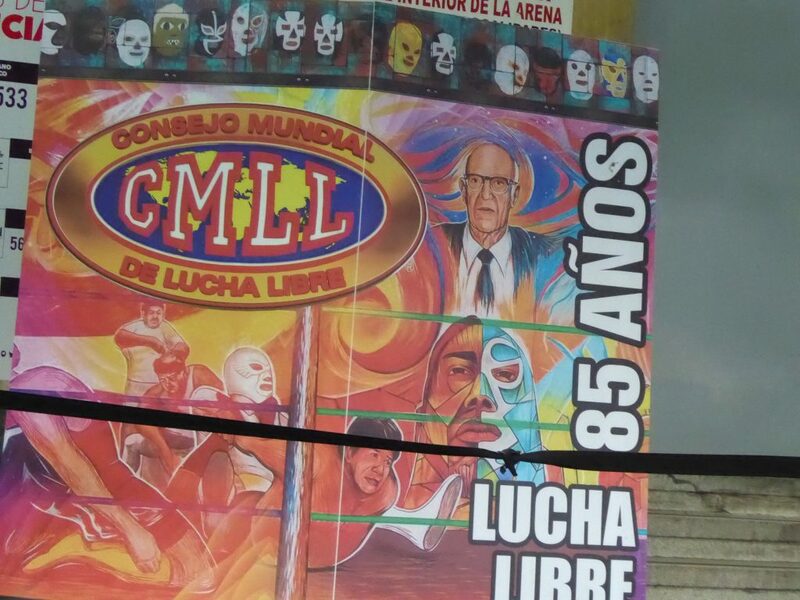 At a Luche Libre match, there are the good guys (the technocrats who mostly wear masks and respect the rules) and the other guys (the bad hombres who pay no mind to the rules). There was much flying about and back flips. I was surprised at the number of off-ring tackles. There were generally teams of three. Sometimes one would go up against three and sometimes it would be one on one. In between matches, six scantily clad women would dance to the music. Then the announcements would begin, introducing the upcoming wrestlers, and we would start to pick a side for the upcoming contest. My ticket included a free mask. I was told I had picked out a dragon mask. 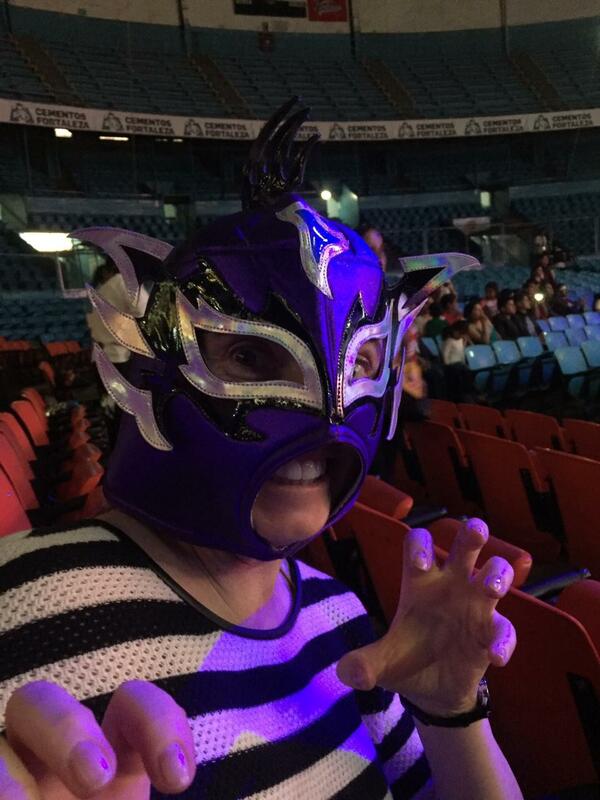 If you attend on a Sunday evening, the Luche Libre event should be tuned to family entertainment. Just my style.